In March, 2001 I finished "Rambunctious," a Revised Martha Jane designed by Phil Bolger & Friends, Inc. 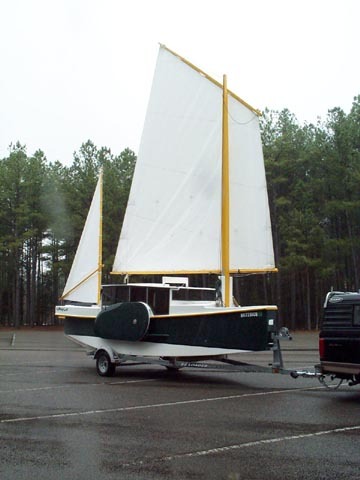 Right in the middle of building this boat, Phil Bolger & Friends published an upgraded plan for the Martha Jane. The revision includes new safety features, and more cabin space (the plans are available from PB & F directly). So I bought a reciprocating saw, cut a big section out of the boat, and started revising my original Martha Jane boat! I chose the name "Rambunctious" for my Martha Jane because my grandmother used to call me the that when I was a little kid. This boat seems to fit that personality, so the name chose the boat. 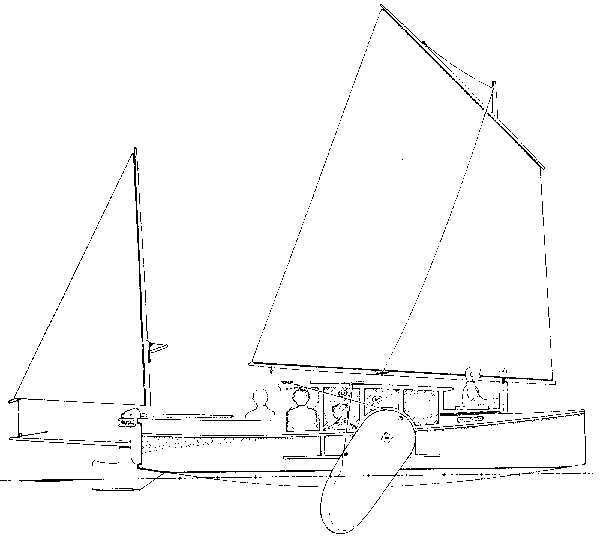 You can read about the original design in the book "Boats with an Open Mind" by Phil Bolger. EMPTY WEIGHT : 1400 lb.